The phrase “content is key” has been buzzing around the marketing world for quite some time now. It’s an easy statement to make, but not necessarily an easy one to fully understand for anyone who don’t specialize in marketing or writing. In this article, I’ll explain exactly what content marketing is and why you should start using it ASAP. Let’s break that down to make it a bit easier to understand. Content marketing refers to media you create that is specific to your business. This can include the creation of blog and newsletter articles, videos, social media posts, photos, podcasts, e-books, webinars, and more. The key to being successful with content marketing though is making sure the content has a specific goal related to educating, entertaining, and engaging your audience in order to lead them to perform a specific action. For example, let’s say you’re a chiropractor’s office manager who recently hired an acupuncturist on staff and you’d like people to start booking appointments. You can use content to tell your audience about the benefits of acupuncture. You could create a blog post that documents a patient’s recent success with acupuncture, or a video that informs people about 5 things they never knew about Eastern medicine techniques. All of this content has the goal of educating your audience about acupuncture in hopes that they’ll want to book an appointment and try it out. Now that we understand exactly what content marketing is, let’s go over why you should use it. 1. It Drives Relevant Traffic to Your Website. Almost every small business I work with wants to increase traffic to their website. But, what many people don’t realize is that traffic in general doesn’t necessarily help your business. Instead, you want to focus on driving relevant traffic to your website. This way, you know the people who are visiting your site are actually interested in your business. Content marketing can help make this happen. By creating good content that is relevant to your business, you open up opportunities for that content to rank in Google, which benefits your Search Engine Optimization (SEO). If you create a blog post focused on a topic that is specific to your business and it ranks highly in Google, then you know the traffic coming from that post is going to be from visitors who are interested in your products or services. 2. It Creates a Natural Opportunity to Follow Up with Customers and Leads. Cold sales calls are tricky and require a lot of effort on the part of you and your sales team. Using content marketing opens up more “warm” sales opportunities. Once you begin building an email newsletter list, you can create content to send out to the customers and prospects on your list that keeps them engaged with your company. Sending out monthly or even weekly newsletters with content your audience is interested in helps to keep you top of mind and opens up the doors for a more natural follow-up sequence. Sticking with the acupuncturist example above, after sending out an article about the benefits of acupuncture, it’s a much more natural phone call for someone from your office to follow up with clients to see if they’d like to schedule an appointment to try it out. Using content marketing to educate and engage with your audience helps to create warmer relationships. 3. Content Marketing Positions You as an Expert in Your Industry. By creating content that educates your audience about your business, you’re automatically positioning yourself as an expert in your industry. People love to learn new things, and if you’re the one who teaches them something new that is relevant to their lives, they’ll be looking to you for more advice in the future. For example, I recently moved and needed tips on installing a wall mount for my TV. I Googled “how to install wall mount tv”. The first thing listed in the search results was an article from Home Depot titled “A Guide to Wall-Mounting Your Flat Screen TV”. I clicked on this article for tips without even considering that Home Depot would sell TV wall mounts. Because this article was highly relevant with good content, I trust that Home Depot is an expert in this and am considering purchasing my wall mount, or the tools needed to install one, from Home Depot. 4. Content Marketing Provides Opportunities to Engage With Potential Customers on Social Media. 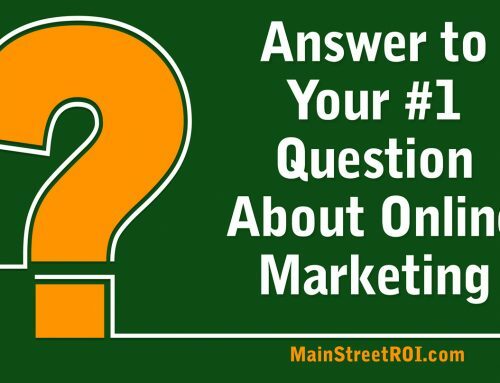 There’s no question that social media is a huge part of any marketing plan. According to Statista.com, Facebook had 1.71 billion active users as of Q2 of 2016. This provides a valuable opportunity for your business to engage with potential customers through social media platforms. Drafting engaging social media content is a big part of content marketing. It’s important to identify which social media channels your ideal customer is using, and then to create a content plan that will engage your audience. Organic content, paired with paid social media advertising is a great way to reach potential customers. I was recently on the receiving end of successful content marketing using social media. A few months ago, fitness accessory company, Caeden, was running a Facebook ad campaign to promote their new fashionable fitness tracking bracelet. Their product not only tracks steps, calories, and heart rate, but also uses the information to report on your stress levels and then pairs it with a meditation and breath app to help relieve some of that stress. This ad repeatedly came up on my Facebook and eventually lead me to click on a video post that featured a woman using this bracelet while practicing yoga. This was genius because I’m their ideal customer — a female yoga instructor who has an interest in fashion. After watching the video and reading more on their blog, I became a strong prospective buyer. I was shown well-crafted, relevant content which kept the product top of mind. A few days later, I ordered my Sona after using one of the promotion codes that popped up on my Facebook account through their retargeting campaigns. Sharing and promoting your content, especially if targeted to your ideal customer, can help to connect with prospective clients. What do you want the “feel” or overall perception of your company to be? If your target audience is doctors or engineers over the age of 40 you’re likely to want a different reputation than a business whose target audience is millennial social media marketers. Content marketing helps establish the voice of your company which helps you attract and retain more customers who get along with your company culture. Whole Foods is a great example of a business who uses their content marketing to establish a voice. Their Whole Story Blog focuses on healthy recipes and video cooking tips all containing words like healthy, better, benefits, and greens. This establishes their voice as a brand focused on providing meal prep inspiration targeted to people looking for healthy recipes with exciting ingredients — i.e. their ideal customers. Forming partnerships within your industry is a great way to get in front of a new audience that is likely interested in the product or service you are selling. Content marketing opens up opportunities to engage with partners. You can reach out to influencers in your industry and invite them to exchange guest blog posts with you. This not only provides your audience with compelling content from a thought leader in your industry, but allows you to provide content to get in front of a new audience as well. And, circling back to reason #1, it will drive relevant traffic to your site… which is what you want. Whether you’re exchanging blogs, social media shares, webinars, or other types of content, these types of partnerships help to expand your audience and potentially generate new clients. Content marketing is a powerful tool that can be used to educate, entertain, and engage your audience. By establishing the voice of your brand and positioning you as an expert in your industry, it can help you connect to potential new clients. Creating a content marketing plan targeted towards your ideal client, with help you turn those prospects into new customers for your business. 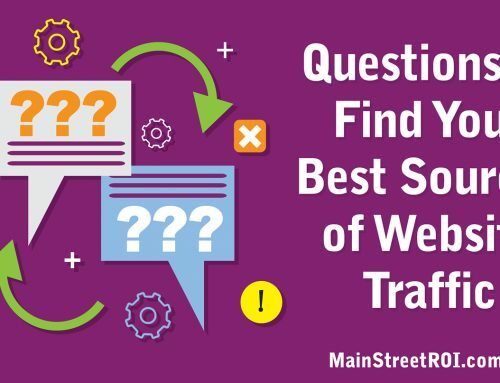 Want to Make Sure Your Content Generates Traffic? Before you invest in content development, it’s a good idea to make sure you’re following SEO fundamentals. That way, you can ensure you’ll actually generate traffic from all of the content you’re creating.